on every Tuesday from 10am ~ 12 noon. know nor understand how Reiki energy could help them, by just touching them. 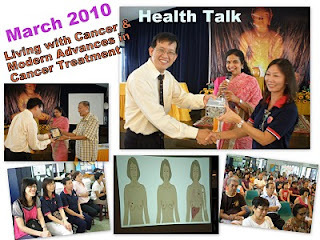 On the second week, the patients were looking forward to our visit. They waited for us in the garden. They feel happy and cheerful to receive Reiki. but after receiving Reiki she could raise her hand. and able to cope better. satisfied and happy that our service is appreciated. 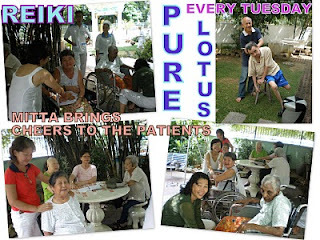 One of Mitta Planned Activities for 2010 is a weekly visit to Little Sisters of the Poor. Little Sisters of the Poor. 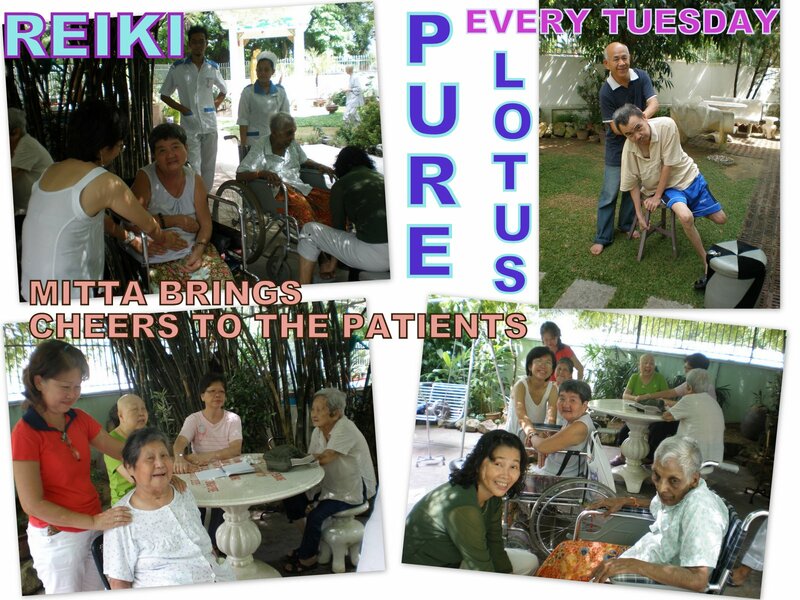 Yesterday, 13th March, we went to Home again to give Reiki to the old folk. Upon checking with the residents, some folks are very optimistic about the Reiki healing. A lady informed me 2 weeks ago, she had knee pain. After the first reiki session the pain seemed to have vanished. Yesterday she came to receive more healing. Brought new friend with her. 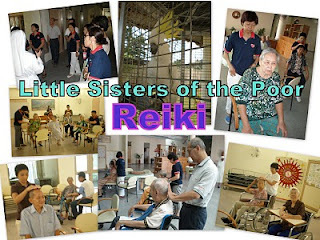 A good number mentioned that after they received Reiki, somehow, their aches and pain have reduced. A few mentioned that they felt less tired after reiki. The residents kept asking us if we are coming again next week. Sharing and caring - The joy of making others happy makes us even happier.